As planning permission was being sought, our client commissioned PCA to undertake archaeological Desk-Based Assessments (DBA) in support of the development of the planning application. The proposed redevelopment involved the demolition of existing structures and the construction of a mixed-use multi-storey building with a basement. The listed building located at 127 Borough High Street was to be retained and only subject to refurbishment. The DBA identified moderate and low potential for prehistoric and Saxon remains with a very high potential of Roman, medieval and post-medieval remains. With the construction of the basement level, complete truncation of all archaeological depositions on the site was expected. As a result, the DBA recommended an archaeological evaluation to locate and identify the archaeological resources. PCA worked together with the client to provide excellent and efficient services, to keep costs to a minimum and to enable the construction works to proceed in tandem with the archaeological investigation. PCA was commissioned to undertake a desk-based assessment of land adjoining Meeham Road, Greatstone, Kent in support of a planning application for a housing development consisting of 13 houses. The archaeological, historical and cartographic evidence was collated and assessed to an agreed timetable with the client and was used to inform a decision for planning consent. The dearth of evidence in the surrounding area from the Prehistoric to Medieval periods suggest that the potential for uncovering remains of these periods was considered low. 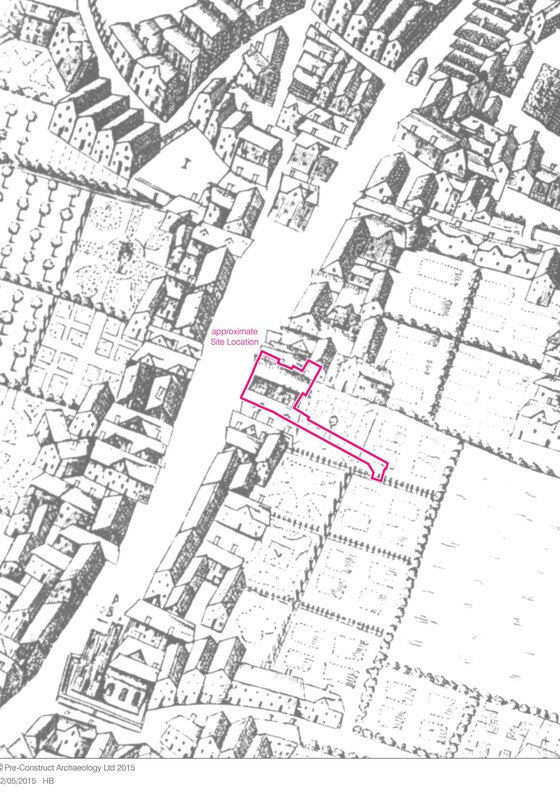 Research and analysis of the Kent Historic Environment Record highlighted numerous entries relating to the post-medieval and modern periods within 1km of the subject site. This suggested that historic settlement lay beyond the immediate area prior to the mid-19th century. 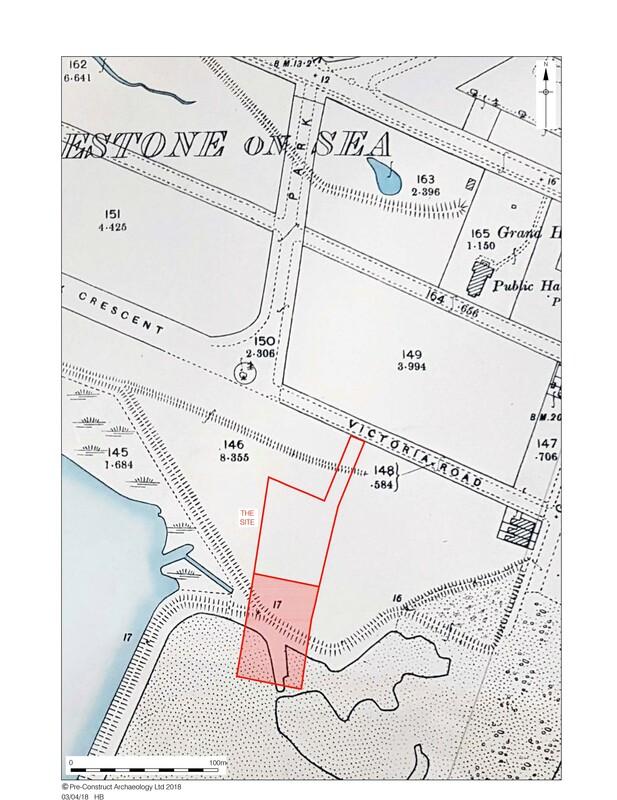 Cartographic sources indicated that prior to this date the proposed development site lay within an unstable coastal area within the channel and sand or mud flats. The archaeological potential for the post-medieval period was considered to be moderate and comprised historic ground raising/levelling, water management features or former land boundaries. The application for development was successful and following consent, the desk-based assessment was used to inform a programme of archaeological evaluation to target specific significant archaeological remains and the cartographic evidence in particular was used to position the evaluation trenches to assess the former shoreline and flood defences. During the evaluation, evidence for both the former shoreline and flood defences was discovered proving the accuracy of the desk-based research.